Gift Certificate to apply to public tour . SKU: btsdgc01. Tag: Gift Certificate. Gift Certificates are good for all Daily Public Tours, and reservations are based on availability. After purchasing Gift Certificate you will be emailed a printable copy with the Gift Certificate number listed on the print out. This number will be the only thing needed to make the reservation. Please contact us with any questions. Sign Up For a Tour Today! 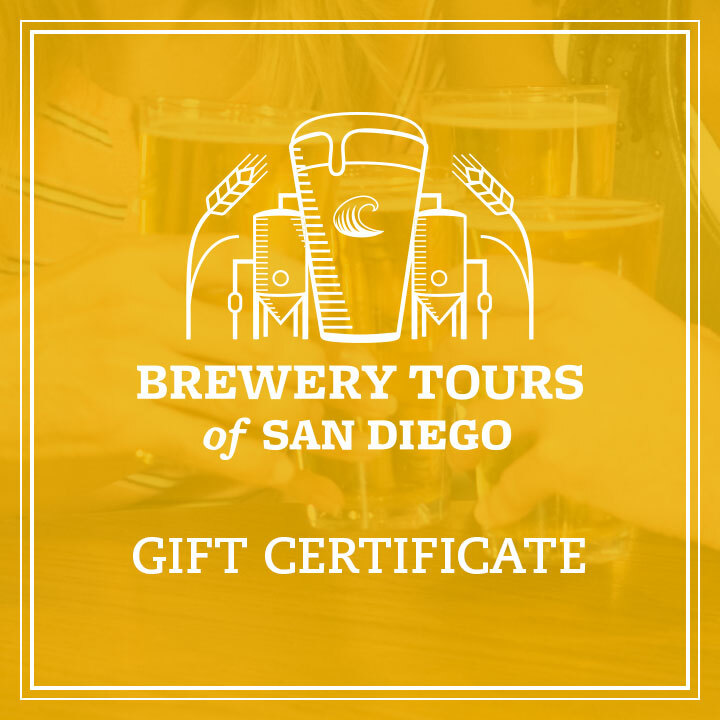 Copyright © 2019 Brewery Tours of San Diego. All rights reserved.